As the king of music streaming services, Spotify has always been providing two main tiers for its subscribers to access to over 30 million songs: Premium and Free. Spotify Premium costs $9.99 a month and for that, you can listen to whatever music you want without any limitations in either the desktop or mobile apps and download music for offline playback. Spotify’s free tier is really free, but it’s ad-supported. When using Spotify app with a free account, you can listen to any song, album, or playlist at any time in any order, but must tolerate adverts in between tracks and are confined to standard sound quality. Furthermore, the most frustrating thing is that Spotify Free users can’t download Spotify music for offline playback. Of course, upgrading to Premium plan will remove all these limits and get the ability to play music offline. But beyond that, you can also turn to a powerful music downloading tool -- TunePat Spotify Downloader. Below we will show you how to download songs from Spotify Free with TunePat. TunePat Spotify Converter is an one-stop music downloading and converting tool, designed for both Spotify Free and Premium users to download any song, album, playlist from Spotify and convert them to MP3, AAC, WAV, or FLAC format without installing any extra software including the Spotify app. 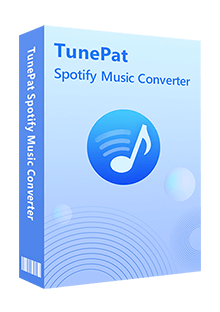 Based on this distinct feature, though TunePat Spotify Converter has a handful of rivals in the aspect of Spotify music conversion, it is the most prominent and handy. TunePat Spotify Converter is available on both Windows and Mac computers, here we take the Windows version as the example to show you the detailed steps about how to download Spotify music with Free account. Launch TunePat Spotify Converter. Click the "Settings" button on the bottom right corner and select MP3/AAC/WAV/FLAC as the output format. Here you can also choose output audio quality, customize output path, organize the output files in various ways and more. Click "Convert" button to start converting the Spotify songs you chose in Step 2 to DRM-free files. Once the conversion is done, you can find your downloaded Spotify songs in MP3/AAC/WAV/FLAC format by clicking the "History" button on the bottom right corner. 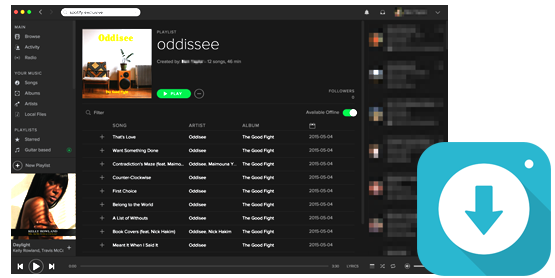 Now all your Spotify songs have been downloaded to your computer, you can enjoy them on your devices without any limitations.